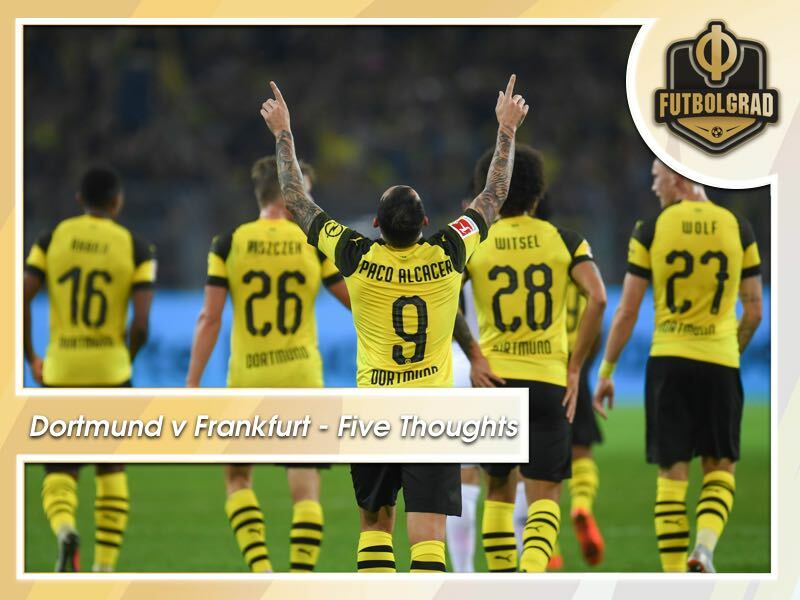 DORTMUND – Borussia Dortmund v Eintracht Frankfurt ended 3-1 at the Signal Iduna Park allowing BVB to temporarily take the top spot in the Bundesliga. Abdou Diallo bundled home with Sébastien Haller equalising midway through the second half, but Marius Wolf and Paco Alcácer scored to give the home side victory. It was a match that went to script in many respects, there are many talking points and here are a few from an interesting encounter. Be under no illusions, it is going to take months for Lucien Favre to get Borussia Dortmund playing to their potential. This is a new team in many respects with players unfamiliar with each other and unsure how to combine to maximum effect. Manuel Akanji and Abdou Diallo are a promising central defensive partnership, but they will need time to adapt with each other and a virtually new central midfield including Axel Witsel and Thomas Delaney. Marius Wolf will require time to understand which positions to take up on and off the ball and how to work in conjunction with Dortmund’s full-backs. Add Alcácer to the equation and the telepathic understanding that separates the best from the rest is a long way off. This team will only improve but don’t expect it to happen anytime soon. The Eagles were missing a host of defenders including Carlos Salcedo, Taleb Tawatha, Timothy Chandler and Jetro Willems. 19-year-old Evan Ndicka got his second start of the season on the left side of central defence and Simon Falette occupied the left-back position. 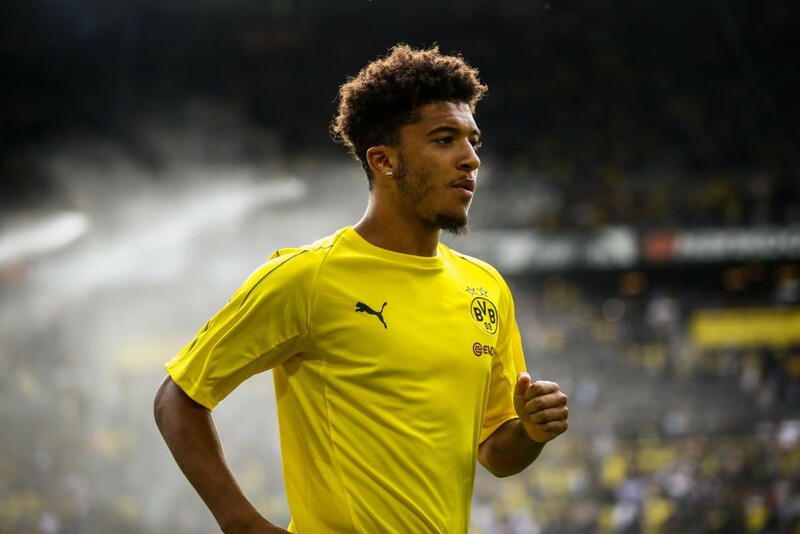 Dortmund had some promising attacks down that channel early in the match, but surprisingly failed to exploit a significant weakness until Jadon Sancho came off the bench. The young Englishman initially took up Jacob Bruun Larsen’s position on the left wing, but soon switched with Wolf to be able to attack Falette. It didn’t take long to bear fruit, Sancho’s pace getting him behind Falette before cutting back inside and setting up Wolf who made it 2-1. Attacking Frankfurt’s left-sided defence seemed a no-brainer from the start but it was surprising it wasn’t exploited to full effect. 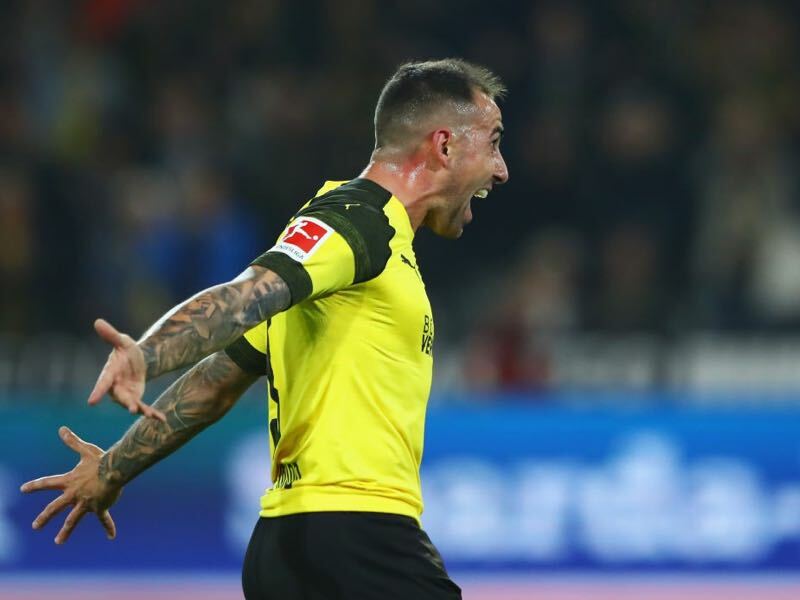 Borussia Dortmund desperately needed a striker this season and managed to bring in Paco Alcácer on loan from Barcelona. Coming off the bench in his Bundesliga debut, the Spaniard looked lively and was immediately involved in promising attacking plays. He was involved in the build up to Wolf’s goal and put the result beyond doubt with a deflected left footed strike that found the top corner. Alcácer will be a vital player for Favre and Dortmund this season and is certain to be the first choice striker. Favre started Jacob Bruun Larsen after the 19-year-old scored four goals against Osnabrück in a friendly last week. The left winger tried hard to get involved and looks to have a promising future, but he may have to be patient with so many top quality options in his position. Marco Reus, Jadon Sancho, Christian Pulisic and Marius Wolf are all wide attacking options for Favre, not to mention Maximilian Philipp who could play wider with the introduction of Alcácer. It’s a nice problem for Favre to have, and it means there are no shortage of top quality options especially off the bench late in games. 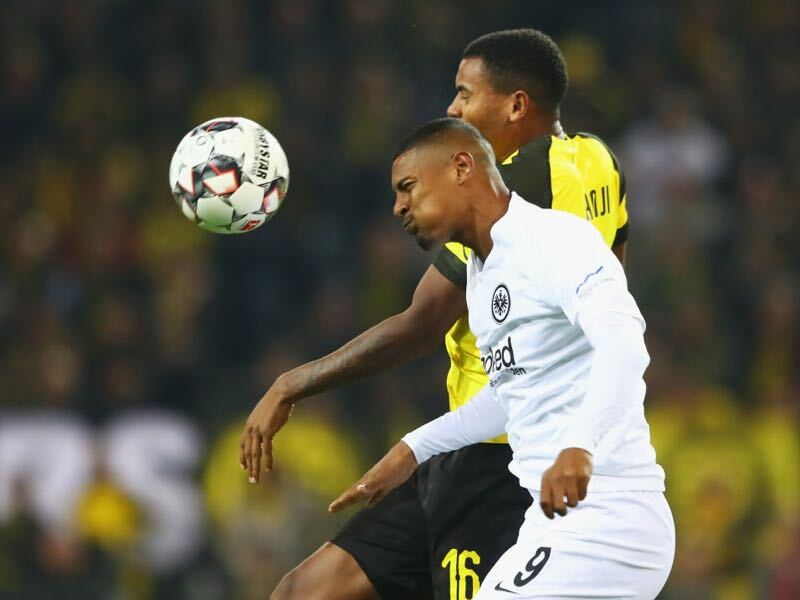 Sébastien Haller is the go to man for Eintracht Frankfurt, with the tall French striker happy to play the target man but equally good with his feet. His assignment was a difficult one in the first half, but he stuck to his task and swept home the equaliser midway through the second period. It was Haller’s third goal in as many Bundesliga games this season and he is well on the way to eclipsing the nine he scored last campaign. Having recently turned 24, the room for Haller to improve is substantial. Luka Jović’s introduction gave Haller more room to operate and caused Dortmund’s defence some problems. Having another striker beside Haller could be a viable option for Adi Hütter and give his side more attacking threat.